My new card is a contribution to a new challenge at OVA. 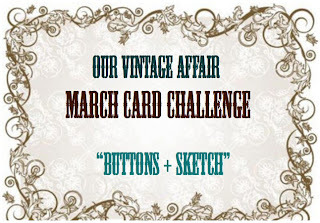 New MARCH CARD CHALLENGE is all about BUTTONS!!! Just to remind you that OVA's Sponsor of the March Month is 3ndypapir. 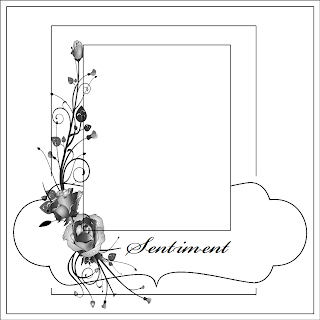 And the prize for a winner is a collection of 6 papers from the new "Sweetheart" issue. As well OVA presented the new DT Team! 7 new girls from all around the world are joining OVA's DT team to share inspiration with all vintage lovers! Pop in and say hello to them!!! So very excited to be creating with you and all the other ladies... Thank you for this opportunity and excited to see the inspiration that will follow. Your card is just gorgeous. The image is just beautiful !!! Very pretty, the colors give it a pop of color! Laaabaaaiii švelni atvirutė! Tiesiog, angeliška ;-)Ir nuostabi schemutė! 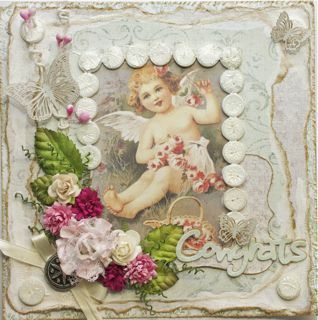 Beautiful card, love the torn papers, and the cute image with the button frame, so inspiring.